 Appendix: The Translation Process in Detail. Gryphius: Andreas Gryphius (1616-1664) ,Andreas Greif, was born in Silesia on the threshold of Poland. During the Thirty Years War (1614 to 1648), overlapping with the English Civil war (1642-1651), his homeland was repeatedly torn by conflicting, marauding armies. Silesia was embroiled in the schism between Protestant and Catholic forces, religion being part of a power struggle in Europe: the dominance of the Austrian Hapsburg dynasty was at stake. Spain, Denmark, Sweden, France, Austria were all involved in the conflict. Britain too played a hand. James I (James VI of Scotland) endeavoured, not forcefully, to intervene for peace through his eldest daughter, Elizabeth of Scotland (1596 -1662), the wife of Frederick V Elector of the Palatinate, briefly Queen of Bohemia, whose marriage in 1613 had been celebrated in John Donne’spoem Epithalamion. Gryphius’ life was dogged by blows of fate and turmoil. His father died when he was about five. The family fled from the German side to Poland with his step-father, Michael Eder, a teacher. His mother then died when he was 12. His step-mother, Maria Rissmann, of whom he was very fond, died in 1637 when he was 21. The family’s flight to Poland meant that Gryphius attended the grammar school in Danzig (Gdansk). Danzig, a tolerant, cosmopolitan city, was a centre for burgeoning trade, a flashpoint for the exchange of ideas and new knowledge. Here he was taught by men who also taught Martin Opitz (1597-1639), Opitz’s book on German poetry was a manifesto for the emergence of German letters - a break from the past, conscious of its sophistication. Gryphius’ first sonnets appeared in Poland. In 1637 he was sponsored by a land owner, Georg Schoenborner, who took him on as a tutor for his sons. In 1638 he travelled with the sons to the Netherlands where Gryphius read Law, Maths and Medicine in the ambience of the University of Leiden until 1644. In the following years he visited the key centres: Rome, Florence, Bologna, returning to Germany, Strasbourg, in 1646. He got to know the commedia del arte and even wrote libretti for the opera. He knew Corneille. Proficient in ten languages, he translated Polish Catholic verse into German. He also translated poetry and drama from Dutch into German. Gryphius was open to literature and affairs beyond his homeland. In 1649 Gryphius married Rosina Deutschlaender. The couple had seven children. One survived into healthy adulthood. Throughout his life, his intense involvement in literature and in public affairs as lawyer and diplomat generated resilient energy, a “hidden strength”, as was said of Gryphius on his admission to the influential “Fruit Bearing Society.” He died in 1664. 1. Gryphius: Introduction: A Modern Voice. Once more we are wholly/ still more than wholly, laid waste. Have all our sweat/ and labour/ and reserves consumed away. The towers stand in flame / the church has keeled over. Fire, pestilence and death / that pierces heart and spirit. Here, through the ramparts and the town/ blood runs, ever fresh. All but choked in corpses/ ooze on, and slow. A full appreciation of Gryphius requires reading most of his verse and all of his dramas. The two sonnets above grant a glimpse of the polarities in his vision born of the tensions between desperation and a search for faith. The sonnet on the tears of his homeland above presents, on the one hand, the protesting voice of a depressive inertia in exhaustion and choking nausea. This is intensified by perceiving the collapse of integrity within people themselves, the loss of inner being, of salvation, the ultimate bulwark for sanity. The solitude sonnet, on the other hand, reveals meditation tinged with melancholy which moves from the isolated contemplation of an empty landscape sinking into ruin and disuse near the desolate sea towards a sense of utter futility. And yet the burgeoning of thought in the mind is a paradoxical force for persistent creativity through strength in the spirit tended by God. The mystery of the indefatigable creativity of the intransigent mind most active when confronted by devastation and futility is a heroic force in Gryphius’ sonnets. It is perceived in wonder as being kept, husbanded and preserved by God in a counterpoint with a descent into annihilating melancholy. Thus, the sonnets are poised between the devastation of the spirit and the resurgent life of the mind discovering through enlightened perception a sense of resolution. Their antitheses raise a question that accompanies reading Gryphius throughout. Is the poet’s religiosity a barrier to appreciation? After all, “Mental states can play a role in causing beliefs without in the least being reasons for them to be true.” Caution like Professor Blackburn’s concern about self- deception in belief[xv] is inescapable in an approach to religious verse. The contradictory tensions in the poems are, however, their essence. The reversal of Blackburn’s proposition, that beliefs can cause mental states, holds true, involving his wry concession: reason notwithstanding, humanity appears at times to call for a religious context. Gryphius’ poetry shares in and demonstrates this see-saw search for life among the ruins, which we experience much later in T. S. Eliot when approaching Gryphius from English. Crises enforce a religious perspective which overrides philosophical consistency that is hard to accept. Indeed George Orwell felt that Eliot’s Four Quartets, for example, had erred into over-religiosity, creating a false, willed fabrication of a religious ethos. Even the leading English critic, F. R. Leavis, whose criticism brought Eliot to life for many as a major poet, expresses distaste in his analysis of Eliot’s “The Dry Salvages” from the Four Quartets, for all his wonder at Eliot’s “Marina” poem. He felt that the poetry of the “Dry Salvages” damaged Eliot’s distinction by protesting formal faith at the cost of his poetic integrity, sacrificing his genius to convention. Must these unavoidable reservations apply to Gryphius as well? On the whole, albeit inescapable, that may be the wrong question. Gryphius brings the reader to consider that, under destructive pressure, a poet needs to strive for resolution in religion, claiming no more than that it is the way he tries to cope, a way to come to terms with savagery in the world without and the disintegration of the mind within: the theme of “Tears of the Homeland”. A gesture at the existence of a soul capable of salvation is not a claim to wisdom, but an enactment of finding nothing else. Poetry crystallizes the individual predicament: it consists of lines of tension enacting the shakiness of its foundation, any reservations are a latent force in the poetry itself. 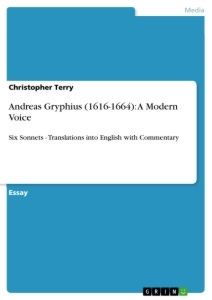 For an English reader, Gryphius sparks off inner references to John Donne and the Metaphysicals in Britain, even to Gerard Manley Hopkins as well as to T. S. Eliot. But Gryphius’ poetry sheds a special light on Eliot’s creative pressures, while Eliot’s poetic reflections on language, the way words “crack and strain” under the pressure of seeking the ineffable, shed, vice-versa, light on Gryphius. Given an environment embroiled in destruction, turmoil and decay –the “vanity” both Gryphius and Eliot respond to - the wastelands of wars, their trails of destruction, the aftermath –the worlds of Pieter Bruegel (Dulle Griet -1564) or Otto Dix (Prager Strasse- 1920)- there is an inner necessity to create some faith to go on living by something, somehow. That is where Gryphius and Eliot meet. Their poetry shows the way people respond to the destruction of their lives, the loss of identity, close to forfeiting the desire to face life. Both poets create personae striving to evolve beliefs that sustain inner cohesion against dissolution. The personae are features of the shared predicament. One might, from an English perspective, argue against both poets that D. H. Lawrence’s vitalism is a “better” faith to build a future on after devastation, disorientation and deracination, less of a retreat than that offered by Eliot or Gryphius. This can be a necessary and heartfelt critical proposition. However, this poetry touches our deepest concern not by dictating dogma but by voicing the helplessness that searches for meaning and design in a world driven by conflict. That implicit question again: Can this poetry, after Hume and Kant and The Dead Sea Scrolls, irradiated by and tending towards Christian belief, still have impact in a world losing faith? However deeply Gryphius has us feel his despair, must we concede that his cry of faith is now alien? That is finally the case. Gryphius evokes a time of apocalyptic perspectives. His lyrical persona is engulfed in working on trauma. He gropes for a way out. The reader concedes to his message to a world in fear: his defiance of and escape from apocalyptic despair in the discovery and in the celebration of the rampant individual mind, hence too his dramas about martyrdom. Apocalypse itself is not an end-game of all time or a limited period concept: as the adage goes,” The world ends for someone every day.” It is a recurrent presence in life on the brink of destruction, as it might now feel in much of Africa, the Middle East, or parts of Asia, for example. A Gryphius translation claims that his appeal leapfrogs history into topical immediacy. The voice in the poems is in protest, the voice of the refugee and victim struggling with horror, destruction, disease, subjected to the wilful tyranny of war, the frailty of the body, of life itself. It is the voice of a survivor who kept on taking life on, creating his own resilience. 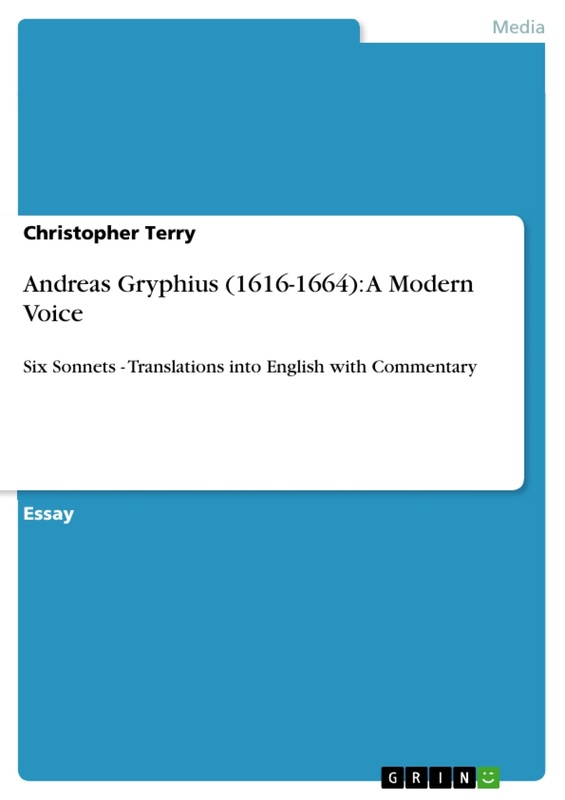 A modern title caught my eye recently with words to this effect: “Is there anything out there still worth living for?” That is the question Gryphius tackles in almost every sonnet. The Thirty Years War lacerated the heart of his Europe in the seventeenth century much as conflict tears communities apart now. What then did he live for in his verse? How then was liveable life possible? In this context, listening recently to Gal’s cantata De Profundis (Opus 50), in which Gryphius is set to music, underlined the poetry’s contemporaneity despite the seeming distance of its Biblical “vanity”. Gal’s composition was dedicated to the misery and the victims of the Third Reich, set to tear up the heart of Europe, including Gryphius’ Silesia and Poland, visiting disaster upon millions. The music transposes the Baroque into a contemporary community with Benjamin Britten and Goretzky. Like Gryphius, Gal seeks to construct peace out of the terror in which all human value was disdained. John Donne (1672-1631), poet, priest and diplomat. The links between England and Germany at that time were close. James I was the Protestant hope for peace and liberation during the Thirty Years’ War but his main interest was peace. Donne was priest to James I mission under Lord James Hay, Viscount Doncaster, to the Palatinate and Austria which left in 1619 ostensibly to sue for peace. Elizabeth of Scotland, James I daughter, (James’ VI of Scotland) was married to The Prince of Palitinate, and thus briefly Queen of Bohemia. Gryphius’ rugged rhythms are at times compared to those of John Donne. Nicola Kaminski, Andreas Gryphius Stuttgart, Reclam: 1998, pp. 26-29. I’m very much indebted to Professor Kaminski for her book which I found very helpful. Martin Opitz Buch von der Deutschen Poeterey, Breslau, 1624. Andreas Gryphius, Leo Arminius, Vorrede, ed Peter Rusterholz, Reclam: Stuttgart. Ed 2009, p.5, note: Gryphius is referring to Corneille’s “Polyeucte”. See Hansers Sozialgeschichte der Deutschen Literatur 2 ;Die Literatur des 17. Jahrhunderts, publ. Albert Meier,Carl Hanser Verlag, Muenchen, Wien:1999.DTV: Muenchen,pp.298-299. Opitz translated Barclay’s Argenis and Sidney’s Arcadia into German. Meier also refers to the influence of John Bunyan and a translation of Sir Thomas Browne into German. Die Fruchtbringende Gesellschaft. This was founded in 1617 in Weimar by Prince Ludwig von Anhalt Koethen and was based on the Italian Accademia della crusca. Its goal was to propagate the works of distinguished German scholars and poets. Its heyday was from 1640-1680, among its members were both Gryphius and Opitz. Gryphius was acclaimed for his hidden power, covert strength. See website streszczenie angielske, Martin Pawelec. For the translation of “Loneliness”, particularly, “ charred” for “ abgezehrt” see Gryphius’ drama Catharina von Georgien, ed.. Reclam, Stuttgart,2008, ll. 111 “halb verzehrtes Bein “ , p.108. It refers to what was left of the Orthodox Queen Catherine (St. Ketevan ) of Georgia and Gurgistan after she was burned to death by Shah Abbas of Persia in 1624. I have maintained the sign Gryphius uses as a caesura here , - /-, which means the rhythm of the period starts afresh in the centre of balance in the line, creating a version of the “sprung rhythm” which G.M. Hopkins employed in English. See note below. CF The Penguin Book of German Verse, introduced and edited by Leonard Forster, Penguin books, Harmondswrth:1957, reprint 1985, p.xxxiv. Forster speaks of “passion and existential distress.”… “in this Gryphius stands between Donne and Milton.” Gryphius appears to me to be more tortured than Donne, yet more intimate to the reader than Milton. But his poems certainly express existential tensions. See also, Blackburn, op. cit., p 67 : “At no time do you both disbelieve and believe these doctrines. You transform yourself from someone who does one to someone who does the other, if the technique works.” Albeit, if somewhat wryly, Blackburn seems to concede that evidence shows that many people need religion, even in defiance of logic and reason; op. cit., pp.205-206. F. R. Leavis. New Bearings in English Poetry makes the case for Eliot’s status as a very major poet. But, later on, particularly in The Living Principle he expresses his disappointment about “The Dry Salvages” from The Four Quartets and the subsequent plays. He criticises Eliot’s inconsistencies which he felt were intellectually dishonest, contradictory, denying his own distinction. The Living Principle, Chatto and Windus, London : 1975, pp. 224-234. And yet here too Leavis’s appreciation of The Ariel poems by Eliot is undoubted, on a par with his fine appreciation of Wordsworth. Nevertheless I suspect that Gryphius’ rugged energy would have attracted Leavis’ positive attention, for all the Cartesian tension in it. T.S. Eliot, Ash Wednesday I. from T.S. Eliot, The Complete Poems and Plays, Faber and Faber, London, 1969, reprint 1987, p.89. Professor Jeremy Tambling, Manchester University. I am very much indebted to Professor Tambling for his suggestions, his support, his ideas and his encouragement in this project and for drawing my attention to Donne’s role in the mission to Bohemia in 1619. See Professor Tambling’s Donne, Gryphius, Lamentations, an as yet unpublished conference paper 2012.which works in the same field. Marvin Schindler, Sonnets of Andreas Gryphius, University of Florida Press, Gainsville: 1971. I have followed Schindler’s analysis of the Evening sonnet in part. Schindler,pp.68-91. Andreas Gryphius Gedichte : Eine Auswahl ( Text nach der Ausgabe letzter hasnd 1663), Reclam, Stuttgart, ed Adalbert Elschenbroich, Sturrgaert, 1968, ed of 1979. With permission from Reclam I have used these texts as the basis for my translation. Elsenbroich, op. cit., Stuttgart, Reclam. Thanks to Reclam for their permission to quote and translate short passages from Gryphius selection. 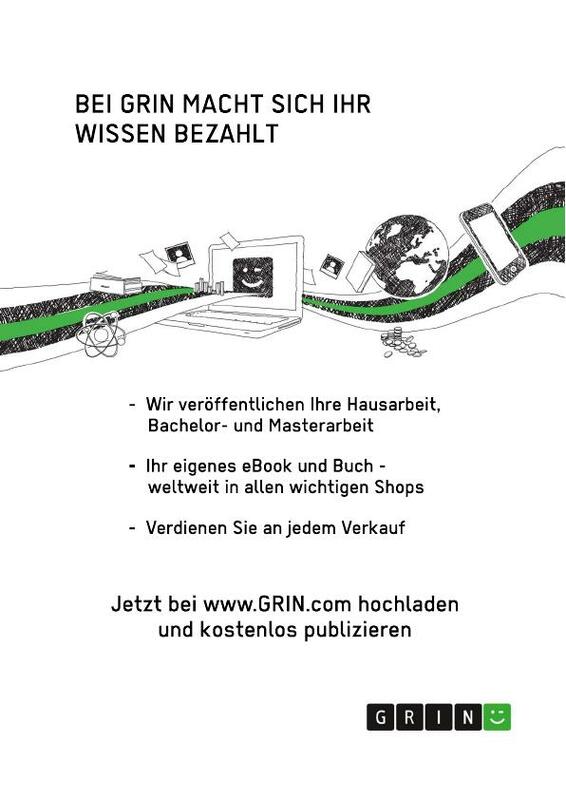 See Raul Gaston Krueger, Bedeutung und Wirksamkeit des Martyriums in Andreas Gryphius’ Trauerspiel “Catharina von Georgien” 2008 GRIN Verlag http://www.grin.com, p17 :“Mit dem Tod des Maertyres betritt das Individuum die Buehne”, ein Individuum, das frei entschieden hat, sich ueber nicht annehmare Umstaende in der Welt hinwegzusetzen,und sich dabei treu bleibt.” Thus, the individual decides in freedom to surpass and overcome the unacceptable conditions of the world as it were: dealing with suffering creates the individual mind. This dynamic is at work in Gryphius’ sonnets. Hans Gal. 1890 -1987. Born in Austria in 1987. Hans G’al was a composer and teacher of music. His De Profundis, Opus 50, Kantate nach deutschen Gedichten des 17. Jahrhunderts.. Zum Andenken dieser Zeit, Ihres Elends und ihrer Opfer. (1936-1937). Gal is a Hungarian name and carries a grave accent on the a.
Gryphius: das lyrische Ich als Stimme für die Opfer - die Suche nach einem Sinn.